It’s that time again. Every month Bulk Fuel Australia holds a Photo of the Month competition for their staff members around Australia. We’re sent everything from tanker and truck photography to on-site jobs that look impossible, yet are achievable with our versatile bulk fuel fleet. When you require fuel for your business, you might immediately think of your refilling your fleet's tanks. However, while this is undoubtedly a key consideration, what about sustaining your day-to-day operations through simply keeping your premises warm? Bulk Fuel Australia has been supporting Australians across this great land of ours for close to 10 years. 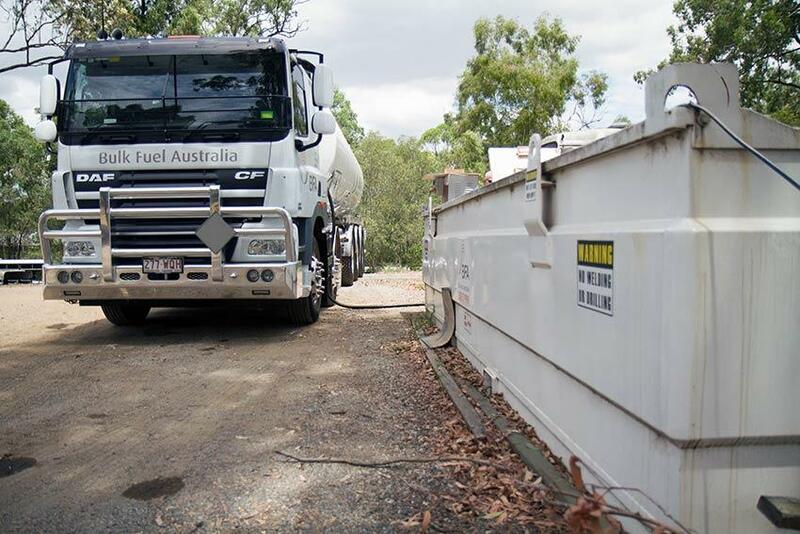 Hauling and supplying bulk fuel so that your business keeps its machines working and your vehicles on the road. We are excited to announce that Bulk Fuel Australia has partnered with the Coyote Racing team as the major sponsor for one of their drivers, Trevor, for the 2017/18 racing season. The Coyote Racing team compete in the Australian V8 Dirt Modified class. It’s not every day you see a US wasp-class amphibious assault ship sail into port, let alone supply fuel to it. So, when asked to refuel the USS Bonhomme Richard as it set its anchor in the Port of Brisbane, Bulk Fuel Australia was up for the task. As bulk fuel specialists, we’re constantly striving for ways to maximise the efficiency, transparency and traceability of bulk fuel deliveries for our customers, all the while creating long-lasting relationships. One of the ways we’ve been doing just that is by employing all-in-one software via mobile platforms which takes the hard work out of bulk and onsite fuel deliveries. Besides breakdowns and maintenance, one of the biggest causes of downtime for vehicles and equipment is replenishing the fuel tanks. But what if you were able to arrive at your site and have all of your equipment refuelled and ready to go for the day before your workers even arrive? That’s just one of the many benefits direct into equipment on-site mobile refuelling can offer. Every year on August 27 Bulk Fuel Australia (and the rest of world) celebrate Petroleum Day. There’s no denying that crude oil has shaped the way the development of human society, so on this day of appreciation we take a look back at the origins of oil and what’s driving innovation in the fuel industry. The Australian Centre for Agriculture Health and Safety (ACAHS) and the University of Sydney has released their mid-year report on Australian Farm Deaths and Injuries (January – June 2017). The figures disclosed are an alarming reminder of the importance of safety in the agriculture industry. Our winning Photo of the Month goes to show that when we say we’ll refuel your plant anytime, anywhere, we really mean it.